CLEAN WITHOUT LIMITS. One portable dispensing system does it all. 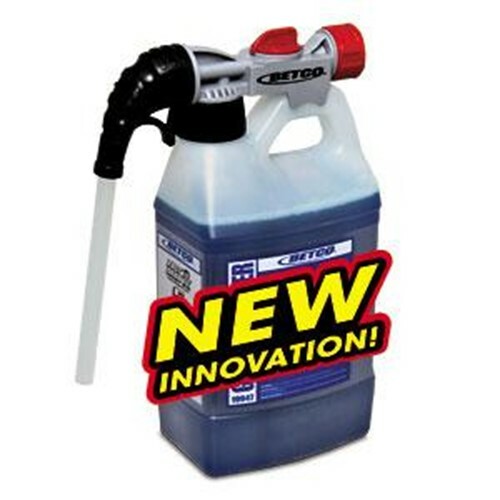 Fill bottles, buckets, automatic scrubbers and foaming spray applications from small convenient package. Simply hook up the hose and dial your application. No tubes to connect or metering tips to install. NO MOUNTING REQUIRED. Special anti-siphon device prevents chemical from entering the water supply. Two distinct flow rates maximize filling operation.